Remember that scrawl at that beginning of Star Wars: A New Hope that got into all of that history that you were expected to read in order to understand the current context. Yeah, I'm not sure many kids at the time really grasped all of that backstory, but obviously it hardly mattered. In the Neil Gaiman run on Miracleman, unfortunately, the backstory does matter. It doesn't say anywhere on the cover that this collection begins at book four, the previous books having been written by Alan Moore. Moore's story is summed up on a single page at the front. It sounds convoluted when summarized like this and does little to aid the clarity of Gaiman's take. I'm reminded somewhat of my disappointment reading World War Hulk: Frontline. I'd wanted the World War Hulk tale and felt like I'd been given scraps. But to be fair, Miracleman: The Golden Age wasn't that disappointing. 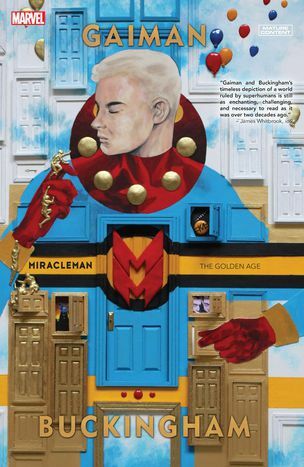 If I've been lamenting lately that superheroes only seem to be taking on one another and us muggles seem to be forgotten, then Miracleman: The Golden Age takes us on in a most compelling way. The presence of such beings changes our entire culture. Whereas WWH Frontline seemed pointless, Gaiman's story seems like it would have been an intriguing companion piece. 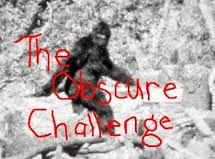 Alas, I didn't start with the companion.